Have the student touch the center of the hand and say the target sound, prolonging the sound when possible, as the student slides the index finger across the row of letters. For sounds that can not be stretched, the student may be asked to make several repetitions of the sound while sliding the index finger across the row of letters. Once a student has mastered the sound in isolation, have the student practice the sound in syllables and then in words using the hands in the same way. 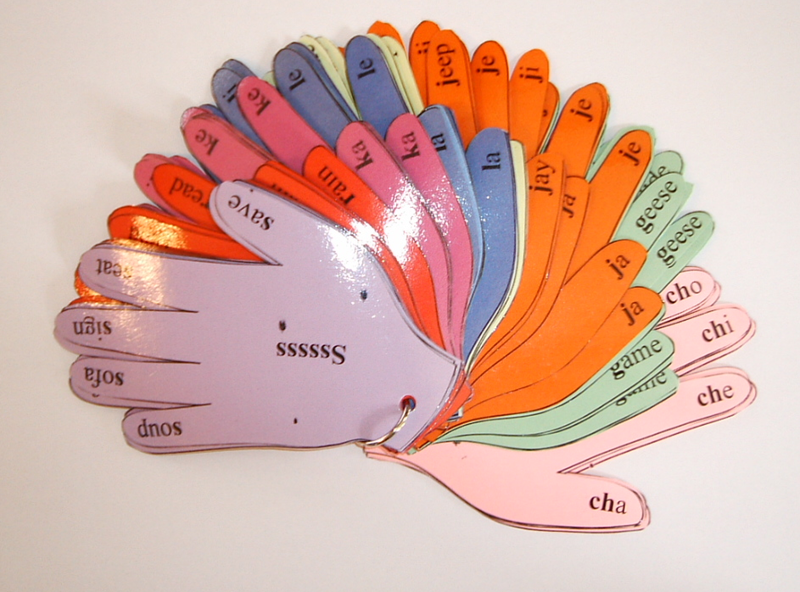 You may wish to add supplementary words or pictures to the back side of the hands to afford the student additional practice. There is a blank hand template included, which may be used to add additional stimuli. From more information on our products click on the Products link above. Our great Special Education products are here!